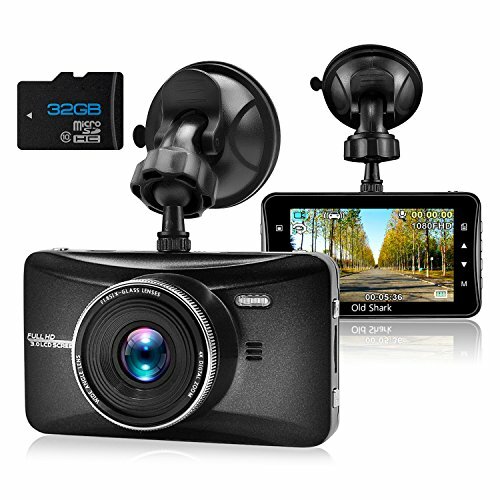 If you are looking for the best motion detection dash camera you have come to the right place. While we tend to think that most accidents occur while driving on the road, the truth is that there is an equal, if not greater, likelihood of your car being damaged while stopped in a parking lot. For those on the market for a motion detection dash camera, we’ve done the hard work of researching the various makes and models for you. Below we’ve compiled a comprehensive list of the best motion detection dash cams on the market. The motion detection dash cam reviews below give you a wide range of possibility so that you, as the consumer, can make an informed decision about which will fit your specific needs best. 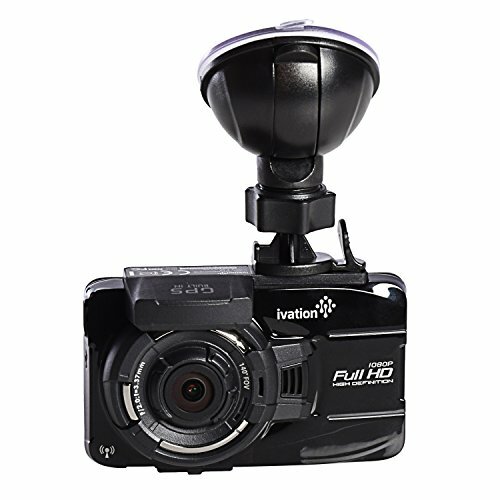 Some of the higher end dash cams on our list come equipped with motion detection software already included, so users on the market for a motion detection dash cam should consider it more an added bonus that comes with the camera rather than an additional feature you need to purchase or install. How Does A Motion Detection Dash Cam Work? The Vantrue, unlike the Telico, does offer true motion detection capability. Furthermore, it is a dual channel motion detection camera meaning that it comes equipped with two cameras that monitor the front and back of the vehicle. This of course makes it one of the most expensive options on our list of the best motion detection dash cams, but the extra price is well worth it. The motion detection software of the Vantrue triggers the camera to begin recording if something comes within 33 feet (10 meters) of the front of the car. To do this, simply select the parking mode feature on the camera and the camera will begin to snap pictures of the scene in time-lapse and then stitch these photos together to create a fluid video. While the Vantrue front and rear cameras do record simultaneously while the car is in motion, it’s important to note here that the motion detection parking mode only works for the front camera. The Ivation dash camera is a cheaper alternative that offers true motion detection protection in parking mode. 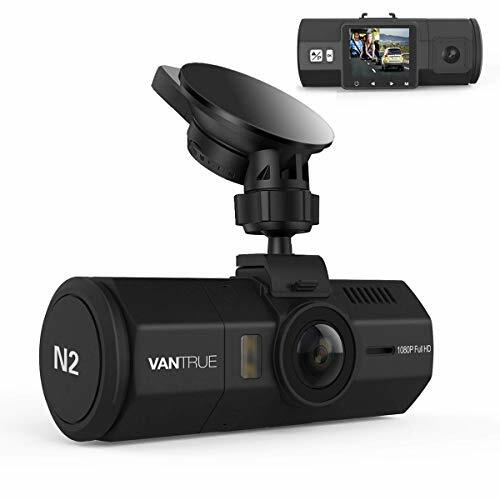 Like the Vantrue listed above, the Ivation triggers recording anytime it detects movement in front of the vehicle thus providing you with valuable evidence in cases of parking lot mishaps or vandalism. The Ivation comes with an extra dash mount fro your convenience and even includes a 32 GB SD card making it ready to use straight out of the box. The footage, while decent, is nowhere near the crystal clear quality of the Vantrue, but should do the trick when it comes to identifying important details in the footage. This is because while the footage is only recorded in 1080P, the superior optics of the Ivation and the night vision capability can automatically adjust the EV value, meaning your car is covered day and night, in any lighting condition. The Binwo motion detection dash camera takes its motion detection capability from the sensitive G sensor located within the camera itself. Like the Telico, the motion detection capability of the Binwo refers not to the movement of objects in front of the car in parking mode, but rather to the movement of the car itself. This means you never have to worry about turning on the camera as it begins to record immediately, as soon as you turn the ignition. This not only saves you time, but on days when you might have forgotten to turn it on, the Binwo has you covered. The G sensor also locks all video that is recorded when it senses unusual movement which could come when the car is bumped or changes lanes dramatically. This means, in the incident of a crash, you don’t have to stress about the footage being lost. It will stay on the camera until you decide to delete it and won’t be overwritten unless you want it to be. The genius of the Lecmal motion detection dash camera has to do with its unique, compact design. Covert and discreet, the Lecmal is known as one of the stealthiest motion detection cameras on the market. It can be affixed in a variety of places onto the car’s windshield or dash, customizable via the Lecmal’s innovating mounting bracket. Knobs either side of the Lecmal’s camera body allow the camera to be adjusted up, down, left or right to record footage at full 1080 HD. 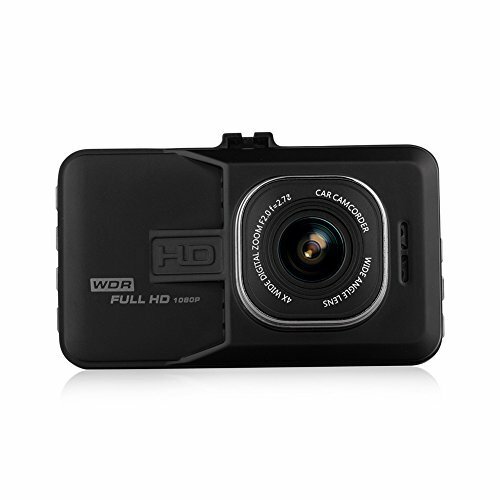 The 1.5” inch LCD screen allows you to watch video footage real time or in playback. If you are looking to upload your footage to social media to share with friends and family, the Lecmal makes it easy, to transfer videos via USB or directly to your hard drive. For a motion detection dash camera, the Lecmal is one of the best if you are looking to capture a potential vandal. Unlike other dash cameras which can be seen obviously from the front of the car, the size of the Lecmal allows you to hide in a variety of stealthy locations within the vehicle. This way you record footage secretly, so that the perpetrator of the damage is totally unaware that he or she is being filmed. 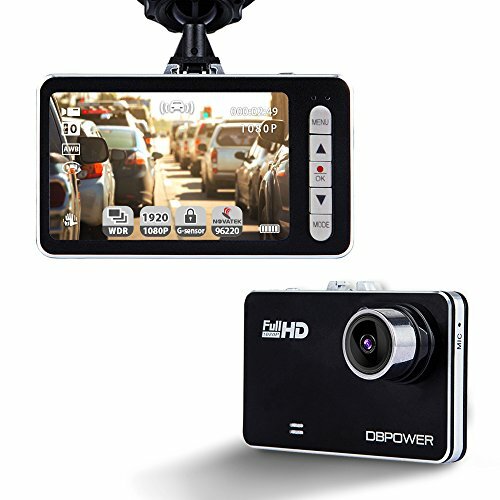 The DBPower dash camera is one of the thinnest options on the market. The body itself measures a mere 5 centimeters in width and the sleek attractive design means that it can be hidden easily within the body of your vehicle. The back of the camera is dedicated almost solely to the large 2.7” LCD screen and the quick snapshot feature allows you to use it like a regular camera, perfect for snapping photos of a collision or the details of the person with whom you are involved in an accident. The DBPower accepts SD cards up to 32GB and will record continuously, rewriting over old footage unless it is triggered by the internal G sensor that locks recordings that attend any kind of unusual situation on the road. The motion detection software is a plug and play arrangement, meaning it will begin to record as soon as the car starts moving. This means you don’t ever have to worry about turning the camera on. Once installed, the camera works on its own meaning you have more time to worry about everything else in your life. In addition to this feature, the OldShark boasts a large 3 inch scratch resistant LCD screen meaning you can playback footage directly on the camera itself so that you don’t have to waste time hooking it up to a computer or television in order to isolate important details in the recording. 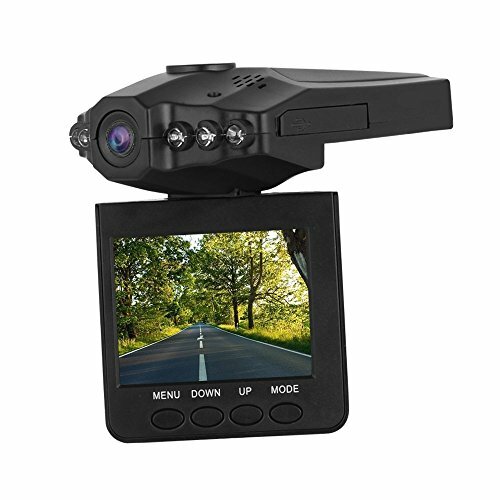 The LCD screen allows you to zoom in and zoom out, making it easy to identify things like license plates or the distinguishing facial characteristics of the person involved in the event recorded. The built in infrared light allows you to capture important events even at night. Impressively, the camera’s aluminum shell allows the camera to operate in extreme temperatures as low as -50 degrees F and as high as 160 degrees promising that no matter the weather conditions, you’ve got the footage you require. The Kingmak is the most economical choice on our list of the best motion detection dash cameras. It offers recording protection in the most basic sense of the word, but still captures footage at 1080P, the same quality as some of the more high-end cameras on our list. This Kingmak is a good choice if you aren’t looking to spend a lot of money, but still want the security of knowing that your movements on the road are being recorded. It does come with a 1.5 inch screen and night vision recording, but the wide angle lens is less than impressive, recording only 120 degrees of the scene in front of you. While it is the cheapest option, for just a little bit more you can get a superior camera with true motion detection software as this one only refers to the motion detection capability of the G sensor which initiates recording as soon as the car is turned on. But either way, it is a good option for those on a low budget and the footage can be viewed easily on your DVD player, home computer or smartphone. The Senwow is a good motion detection dash cam that offers a similarly priced alternative to the Lecmal mentioned above. The Senwow camera attaches to the windshield via a suction cup and unlike the Lecmal, it comes with its own 32 GB SD card which means that you don’t have to waste time (or money) purchasing one separately. The 32GB card can hold up to 4 hours worth of footage before it begins to rewrite over the oldest material recording. The motion detection capability ensures that your car is watched over so long as the camera is hardwired to your vehicle and the option is turned on. Furthermore, the camera can withstand temperatures ranging from as low as -5 degrees F to as high as 160 degrees F which makes it ideal for owners of vehicles who live in extreme climates. Also, it is one of the smallest cameras in our list of motion detection dash cameras weighing in at a mere 1.9 ounces, making it easy to store and carry. The Telico motion detection dash camera records footage in even higher definition than the Lecmal and the Senwow. Capturing video in an impressive 1296P, the Telico ensures that no detail is missed. This definitely comes in handy if you need to zoom in to capture a license plate or if you plan on uploading your footage to the Internet or social media. Furthermore, it comes equipped with a super wide angle lens that can record 170 degrees of the scene in front of you, meaning that more of the road (and the parking lot) are covered during recording sessions. The LCD screen is large and impressive despite the sleek design of the Telico. It 1.5 inches larger than the Lecmal and an inch larger than the Senwow which may be something to consider if the driver has poor vision. In terms of motion detection, the Telico does not offer protection in the strictest sense of the word, as in it does not come with a parking guard feature, but it does pause video recording in twelve seconds once the vehicle stops moving meaning that less space on the SD card is taken up. But if you want a camera that has true motion detection, meaning that it will remain on standby until it detects movement in the camera’s field of vision, you will have to look elsewhere. For those looking to protect their vehicles from vandalism and parking lot mishaps, a motion detection dash cam offers the owner peace of mind. With your very own CCTV alert and ready at all times of day, even if you return from the grocery store to find your car damaged, you can sleep easy knowing that you have undeniable footage of the event on hand. This could potentially save you hours of hassle when dealing with insurance companies who need concrete evidence in order to assess blame. In criminal cases, in the event that someone has damaged your vehicle on purpose, without evidence of a person’s wrongdoing, the police and do nothing. Though you may suspect a person, without video footage there is not much that law enforcement can do. Motion detection dash cams take away this uncertainty and act as your very own security guard. The high definition capability has no trouble recording the make and model and even license plate of the responsible vehicle as well as the facial features and distinguishing characteristics of the person who committed the damage. Motion detection only works when connected to a power source as the internal battery of the camera itself is usually very small and can only function on its own supply for up to thirty minutes or so. In order for a motion detection dash cam to function, it must be hardwired to your vehicle so that it has a constant power supply. To do this, the camera must be connected to the battery source of the vehicle itself. This is a process known as hardwiring. Some motion detection dash cameras come equipped with hardwiring kits, including the cables and instructions on how to connect the various components needed to make this happen. Others will require that you take it to a mechanic or electrician familiar with the ins and outs of this process. Either way: no power source, no motion detection. Dash cameras with motion detection come ready equipped with a special kind of software. This software tracks frames of video to determine whether there is any kind of motion within the camera’s field of vision. When movement is detected the dash cam will begin to record, usually up to ten seconds before and after the so-called “event”. The problem with motion detection dash cameras, even if they are dual channel, is that they will only record activity that occurs in front or behind the vehicle. This means that if damage is done laterally to your vehicle, the cameras will not be able to record the footage. Furthermore, because some of the dash cameras are quite conspicuous, if there is a vandal looking to damage your car, he or she, knowing that the dash camera points only forward (or backward) can come from the side and do damage this way. In these instances the owner of the vehicle is left without any recourse. The other downside of course is that the motion detection software can sometimes be so sensitive that it will begin to record useless footage simply because there is motion in the camera’s field of vision. A leaf falling from a tree might set off your dash cam. As would a squirrel or trees shaking in the wind or a bird passing in front of your car. Think about it: each and every person and every single car that crosses in front of yours in the parking lot will trigger the motion detection software meaning that you could have hours and hours of useless footage to have to sort through and delete at a later date. This of course can be time consuming and tedious, but even worse than this inconvenience, remember that the motion detection dash cam is hardwired to your vehicle’s battery. If you leave your car parked for long periods of time in a place of steady activity (let’s say the parking lot at an airport), this could mean that the camera is constantly turning on and recording footage, a process which could potentially drain your car’s battery! Fortunately, some of the higher end dash cams we’ve reviewed allow you to adjust the sensitivity of the dash cam and even the camera’s field of vision so that only the most significant events are recorded. If you think about in logically, cars are parked more often than they are in motion. We only tend to think about the vehicles we own when we are driving in them, but the majority of a car’s life is spent at rest, whether it sits in your own driveway, in parking lots, in garages and so on. If you are truly concerned about the well being of your vehicle on the road, then it makes sense to be equally worried about your car in a state of rest. With a motion detection dash cam you get the best of both worlds: safety and security knowing you have footage of all your activity on the road, as well as high definition recordings of what goes on around your car when you step away. While it’s true that users should considering carefully whether a motion detection dash camera will be an essential addition to their vehicle, when the pros are weighed against the cons, it’s better opt for a camera with motion detection software. It’s clear that if you can afford it, you might as well get one. As the old adage goes: it’s better to be safe than sorry!